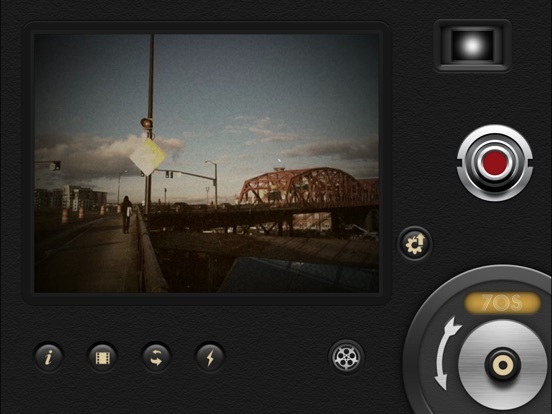 AN OSCAR WORTHY APP - 8mm was used by director Malik Bendjelloul in his Oscar-winning film "Searching for Sugar Man"! The original retro film camera used by millions of users. 8mm vintage camera captures the beauty and magic of old school vintage movies right through your viewfinder. Dust and scratches, retro colors, flickering, light leaks, even frame shakes, all can be instantly added with a single tap of the finger. 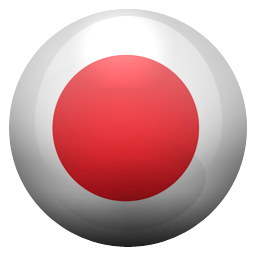 RECORD VIDEOS WITH SOPHISTICATED LIVE EFFECTS • Total live view of the effects. 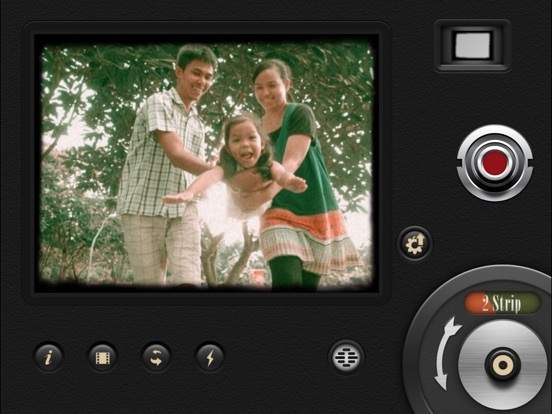 What you see in the viewfinder is what you get. • Support up to 4K HD recording with real time video effects. INSTANTLY SWITCH EFFECTS FOR 70 DIFFERENT LOOKS • 8 Lenses: super 8, 16mm, Clear, Flickering Frame, Spotlight, Light Leak, Color Fringing and Classic. • 13 Retro & Aged Films: 1920, Noir, 60s, 70s, Sakura, XPro, Siena, Pela, Indigo, Tuscan, Two-Color, 2-Strip and 3-X. • Jitter Button to imitate frame shakes of real 8mm projectors. • Sound Switch to add projector sound for extra authenticity or mute the video for a silent movie effect. APPLY EFFECTS TO EXISTING VIDEOS • Apply and adjust effects while playing a video from Photo library. CREATE PRO-QUALITY MOVIES FROM 8MM CLIPS • Choose from 5 unique themes with matching titles, transitions & music. Free themes: Minimalism, Elegant. 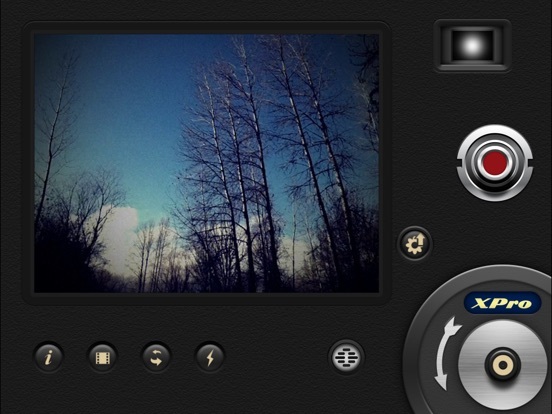 In-App Purchase themes: Silent Film, Countdown, Light Leak. • Add soundtrack from iTunes library. I like the way you can make cool films. It’s cool and fun. So I’m givin’ it a 5 star. Bought this app back in the first year when it came out. Before it was popular from social media influencers. Love the features like 4K video recording and 18FPS video option. But I would definitely pay extra if more features are added! (1) take photos (with the same filters) (2) other recording options (i.e 24fps, 30fps, 60fps, 120fps, etc) (3) other filters and frames (paper rip, dust, grain, light leak flares, etc) (4) the option to dial in the amount of the filter & effects, so it’s not always at 100% (5) time stamp option or some type of retro clock with customize dates, hours, mins, seconds, month, day, year, etc (6) save the original video clips to camera roll, so you have both the unfiltered clip and the one with the 8mm vintage filter as well! Only way right now is to shoot it on your iPhone camera and import it into 8mm which at times doesn’t auto rotate the video so you have to download another video editing app to rotate your video clip or do it on your Mac and reimport it back onto your phone. Over all I love the app, and have been using it for years before it got famous! And I know a lot of people have requested for this app to be able to shoot pictures as well, with the same type of film filter it already provides! I used this app a few times to make some great short fun videos a few months ago and now it won’t let me pick any videos to upload to the reel from 2018 or older and it also won’t access my music at all now?! Definitely bummed out because I loved this app when I first discovered it! I love this app, shooting something on film can really add to the life of an image, but not everyone can afford something like a super 8 and keep buying film. That’s where this app comes in. I love this app and I hope the creators continue to expand on the variety of filters and effects. P.s. it’d be cool if there was a bit more marginal version of that prism effect. I like the camera and filters.The videos in my library will not upload. App keeps kicking me out every time i try it.fix it! Or refund me. I bought this app on my iPad Pro today hoping to record some vintage looking videos to put together for a film project. I was disappointed when I opened the app, turned on all the features, yet got a black screen instead of video. I’ve checked if I approved my camera, and even my mic in settings. Still nothing.. Please let this be worth my money. I’d love to use this app if I could. Thanks! This app crashes on my iPhone 6s when trying to open an existing video for editing. I have tried multiple videos and it doesn’t matter which one I pick, it always crashes. Developers: Any thoughts? It keeps glitching every time I try to upload a video. Add Spotify please!! Awesome app!! I love it!!! Please add spotify to be able to add music!! Was really cool for 5 minutes, and now every time i try to upload a video the app keeps shutting down. No clue on what to do about it or who to ask how to fix this bug? See I enjoy this app slot, it shoots great video and looks so nice on my X, however the lack of single frame photos or even live photos is infuriating considering the price of the app, I feel like I'm paying for more than what Im getting; even if i had to pay more for that function I would. Love it - but needs a lot of help. I love this app but it makes it so hard to like it! I constantly have issues, it’s constantly crashing, and it won’t load random videos (usually the ones I want to use). Could use a few updates and cleaner UX and it would be perfect. This is a really nice app. I always struggle a little with why would I want to degrade the quality of my video, but it does give a retro look that can be effective in some settings. I only have a few wishes for improvements. First, the recording settings are buried in the movie catalog screen. That is not very intuitive. It would be nice if the help actually told you a bit more about the trade offs of each film style. Lastly, and perhaps the biggest, while you can now zoom, you cannot choose which lens to use on a phone that has multiple lenses. These things not withstanding, I do highly recommend this app. If the developer fixes these things, then my rating will go up. I will start by saying that the effects themselves are very good. I like the different lenses and grain. That being said, this app feels drastically behind the times as far as the control one has over the project in the app. If you upload a clip that’s already on your phone, it crops it really strangely and zooms in close and you can’t adjust this in any way, even by rotating the video out of the app. This is the major drawback to the app for me and renders it nearly unusable for my purposes. This issue makes the app feel very 2009 iPod touch era to me. Really like the interface and output. Just not seeing any of the problems noted in recent reviews - no crashes, no trouble uploading videos. Maybe ill behaved on a different phone model, I don't know. Definitely working great for me. Why does it not let me add songs? It says that they are locked. After all these years the app still underachieves! 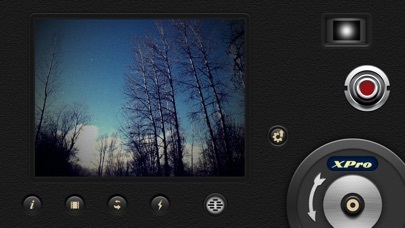 So at a basic level, this app does an okay job of creating a “film” look. Where I would love to see this app excel is have better emulation of actual film like Kodachrome, Ektachrome, Afghan, Fugi, etc. Also, I wish there was better control in the details like, frames, scratches, dust, grain, flicker, color etc. One glaring problem, if you shoot with a frame and then use the light leak effect the leak is on top of the cutout! I want this app to be the best, but after 8 years of use it really hasn’t changed much. Keeps crashing when I open my own photos and videos. Not worth the money. An absolute joke. The camera won’t work on my phone, it won’t pop up and I don’t get why? This was the first app I downloaded when I first got an iPhone several years ago. It’s still one of my favorites! There’s a lot of possibilities to make creative movies. I really love that I can edit and add music from my music library! While I would love to see a brighter 1930s Two Strip Technicolor in a future update, I hope the next update would please have the ability to trim clips and music in editing. every time i try to upload a video from my camera roll it crashes. please fix this! Every time I try to upload a video it force closes. Please fix upload video feature!! Love this app, will be filming a music video with it, however, please fix the app! Everytime i upload a video from over a week ago onto the app, it crashes. Unfortunately it only can record videos. Its effects and filters are awesome and genuine. But it can only shot videos, it is so sad for me that it can take pictures. If I could get away with big fat zero stars I would. Trying to get in touch with the developer is a joke. All I want to know is why the f@&k won't the app let me open anything from my photo or video library without crashing! This always makes me smile! This takes me back to the good ol' days when you never you knew whether or not your negatives were going to come out. The interface is really easy to use and never comes up short. Still good, after all these years. 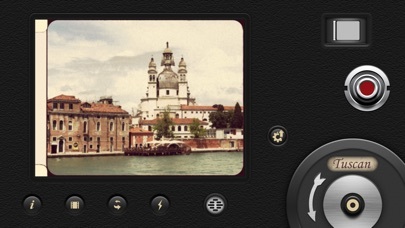 This app has been around for years, I remember it being one of the first old-school analog-look video apps available. Nowadays they seem to be a dime a dozen, but this app has stuck around and is still good. It’s simple and relatively intuitive. Spend a few minutes with it and you’ll have it figured out. Nothing too gimmicky or trendy about it, and the analog looks are very authentic. And unlike so many older apps where the developers eventually got disillusioned or bored or both and walked away, these developers have actually stayed on top of this app, so it still works without a hitch on my iPhone 8. The app immediately crashes when I try to import videos from my camera roll :( I’ve used earlier versions of this app and it worked great, so I’m really hoping they fix this soon. Can you add an option to increase or decease the amount of film grain? The app is really neat. Designed kind of kid-like but produces good quality videos! My only complaint is that anytime I try to upload a video that I took with my iPhone camera, it closes me out of the app. The description says you’re supposed to be able to upload your own so I’m not sure why it isn’t working. I even tried redownloading. :( I was super excited to try it. Probably my most favorite app, but right now it keeps shutting down even when I try to incorporate one of my videos so I can transition it to “film” quality, won’t even bother with a 6second video without crashing, where as before it would do a HD Nikon video that was 2min in duration with ease and wouldn’t kick me off of the app. I’d LOVE for this to be fixed so I can go back to being happy and obsessed with this app! Thanks! 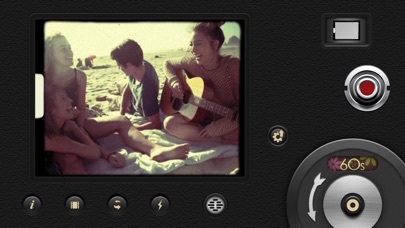 I just installed this app so I can make previous films in my roll the retro effect but it didn’t seem to have sound? Am I doing something wrong or is there a way of having the original audio on your clips when you put them through the process? I’ve loved this app for years. 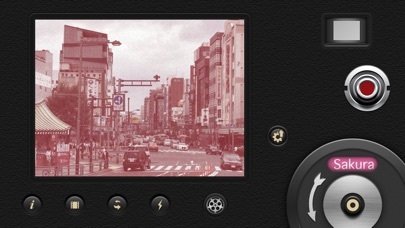 The 8mm stuff is fantastic and gives a truly genuine feel compared to other apps. My ONLY suggestion was to have a 16mm film look. Now it’s here! I am so pumped to use this. This app is great - quality video and an easy interface. I wish the editing for videos I already have was easier. I hate it so far. Looking for a better app. You really can’t do much, it does definitely do what it tells you it does, but there’s nothing too special. Especially since you have to pay money. It’s an app that you’d be disappointed in spending money on, I’d much rather you spend your money on something else then something you’ll get bored of. You also can’t upload videos and vintage-ize them so that’s not really fun. IS THERE A PHOTO OPTION? I had to update my review to 5 stars because the complaints I had were all my own fault. After looking further through the app, I found what I needed with just a couple of exceptions. First need: I’d like an update to allow control via a selfie stick through the lightening cable port (as on the newer iPhones). Second, a zoom feature! I could figure out how to zoom?! Come on! Even the actual 8mm cameras in the 1960’s had a zoomable lens. Otherwise, I love this app. It’s just hours and hours of fun!! No matter what I do, I can’t add my own music. Every song shows a lock next to it, preventing me from adding it to my project. I have tried contacting this company several times through email, and even messaging them on Facebook and NO ONE will respond to me. Frustrated that my money has been wasted. This is a must buy for anyone into shooting and editing right on your iPhone. Not sure if anyone else has this problem, but I am unable to add music in because all of my sings seem to be locked for some reason. Let me know if there’s something I’m doing wrong. Thanks! The quality of the output from this app is really great. Two things I think are needed in a future update: 1) Ability to lock exposure/focus 2) Ability to select the portrait lens on dual camera iPhones Thank you for this app! This app is incredible!! The first video I made was so sweet and old fashioned. I love it!! 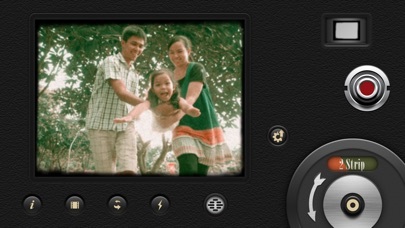 I do really love using this app, but lately a lot of the photos I take have gone missing. They are on my camera roll on my phone, but when I open the app to try and create a video, they are nowhere to be found and I can’t upload them back onto the app. It’s quite annoying and makes the experience of making videos more challenging. I do like the app, I just wish this problem could be solved. So, I've been using this app for a little while now and I already love it! 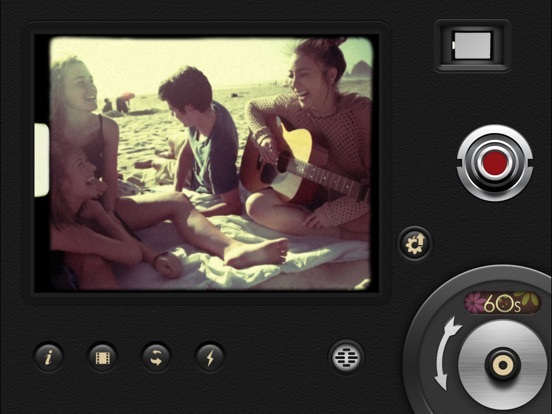 Suggestions though, can you guys (developers) make the screen while recording, like bigger and let us users take pictures with it and edit videos/photos with its amazingly crafted vintage look filters & frames. No option to save video to Photos? This is my favorite app! Would love to see a vintage photography option as well! Yes the filters are good, but in the description the it says with this app you can “edit videos from the library” and edit them into movies within the app with certain themes, and add a song from your iTunes library. You can’t do that at all with the 8mm app. I bought it for the reasons in the description and all I got was a basic video filter app. It's a very simple and effective app but I wld love to be able to zoom. The new version that just came out does not allow me to access my videos to covert them in the app to put the filters on them. Just spent $2 and there is a glitch that wont allow me to download old vids even after i enabled access to photos. I really wish you could take pictures! The video is great but I would love to be able to take portrait photos with this app! Literally the app won’t even turn on. Like the screen to record is straight up black. I want my money back. This app is more than just a novelty!! It’s a wonderful tool for creating a vintage look. I wish I could figure out how to purchase the in app features though to utilize the entire package. This app has a wide variety of different looks to achieve for different styles of filmmaking, from a grungy 8mm look to a perfect noir look and everything in between! This app is really wonderful for cute, vintage videos! My only complaint is that you cannot use it for vertical videos. I would love to see an update include that! I’m so upset. I created so many great memories with this app and I deleted the videos from my own photos so I can just redownloaded them all from the app and it deleted it FROM the app too and I’ve never been so heartbroken. I just lost a Years worth of memory because this app syncs with my own photos which I didn’t think was possible. First- PLEASE allow an optional starting point for the music. Other apps allow you to pick what point in the song you’d like to use, so I am forced to use other apps if I don’t want to simply use the very beginning of the song (which is most of the time.) This has been like these all four years I’ve used it- please update. Additional filters that are more “light” based and not “color” based would be nice too, since the images are already grainy by the vintage affects. Second- this may be an iPhone issue more than anything as I’m not savvy in “iCloud storage/photo stream/etc etc”. Like I said I’ve been using this app for four years. Instead of taking clips directly with the vintage camera app, I’ll take extended videos of the event I’m at or adventure I’m on with my regular camera app so I can be present and enjoy what I’m doing in long moments. I’ll then edit new clips down to a few seconds each and upload them individually to the vintage camera app so I can get the very best scenes. With iPhone’s fairly recent update in having photos AUTOMATICALLY download to iCloud storage and “remove” them from my phone (even though it is still viewable on the device) after what I believe is two days, those videos are no longer available to upload in the vintage camera app. That is INCLUDING projects (reels) I’m in the middle of that are (were) in the app. 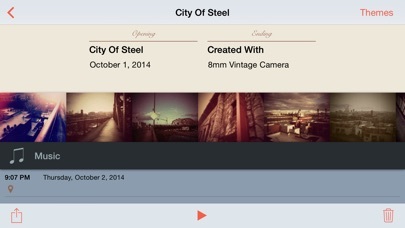 Every clip of that reel, and the entire reel is as if it’s never been done in the vintage camera app, and they are no longer available to upload to the app- only videos that are more recently taken. I know you can turn this off in iCloud settings, but once it’s been on, turning it off will require you to download EVERY single photo and video in your camera roll or it will be deleted. Ain’t nobody got time [or space] for that. The project I was in the middle of is completely wiped. This is not the first time it’s happened and it’s really frustrating. I’m currently searching for ways to somehow recover or remove certain videos from iCloud storage to be completely in the device and viewable / useable by this app. Again, unsure if this is an iPhone dilemma, my own unfamiliarity, or if something can be done by 8mm vintage camera, but since it’s a frequent issue of mine I thought I’d put it out there so others can know- finish your reel in the same day or else the videos will be gone. You’re basically buying preset filters, you can’t change the saturation nor the contrast, nothing. This app is wack. 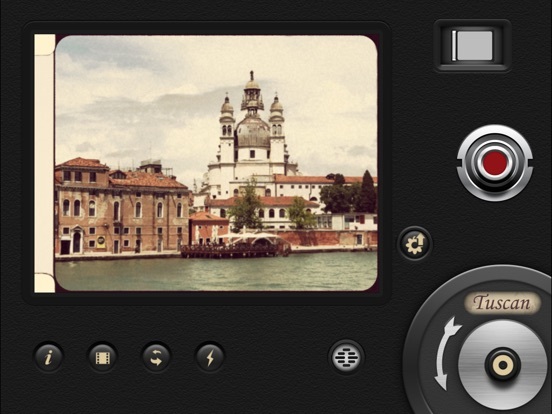 Best vintage video filters in an app. My only complaint is that I would really like to shoot in portrait mode and also import videos in portrait mode, please include these other aspect ratios for instagram stories and importing portrait modes. The only way I have to work around this problem is rotate my video with another app, import it to this one, and the re-rotate it again after adding the video filter, a rather time consuming and tedious process. Please please include portrait modes. This app is pretty cool it can make any of your videos look like they were taken with an 8mm camera, and they look pretty real too. i love this app. i use it almost on the daily and i just love everything about it, from the filters to the authenticity. but i would really appreciate it if it had better frame rates so when i upload a video at 60fps it doesn’t come out so choppy. i hope and would appreciate if this was fixed in future updates! This app is great, but I recommend putting a zoom feature in your next update. I would really love that. Thanks! I really love this app. It reminds me very much of the old movies I use to love. I also like that they managed to add a Two Strip and Two Color filter so I could make my films look like films from the late 20s and early thirties like Doctor X and Mystery of the Wax Museum. The way to make it perfect is if they added a three Strip or three color option like in The Adventures of Robin Hood or The Wizard of Oz. Would that be impossible to manage? I bought this on my iPad and I love it. 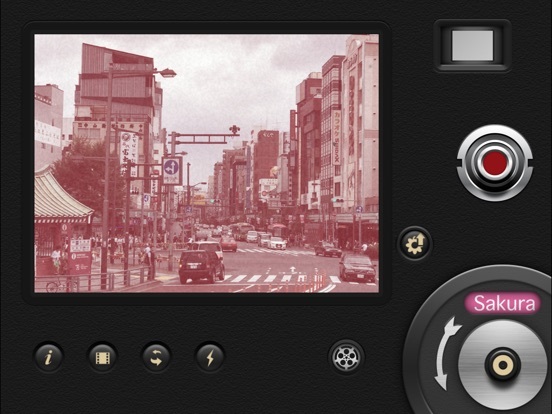 So I bought the iPhone version in the bundle with ReelDirector II. ReelDirector II will install on both iPad and iPhone. So if I had to do it over I would have bought this app on my iPhone with the bundle so I could use the better camera that comes on the iPhone 7 vs iPad Air 2 use airdrop to send to my iPad to edit. Like I said I bought it on the iPad and all of the themes but they will not install on the iPhone app you have to buy them all over again. So you need to decide which you want to shoot video on iPhone or iPad because you have to buy the app and themes on both😭. -1 Star because you can’t share themes you bought. Due to the new update the app can no longer process vertical video. You can import vertical video but it automatically changes the dimensions to landscape, which really blows. Why vertical video? Instagram stories. I used his app religiously for years & loved it. PLEASE include orientation settings!!!! even if what you shot is devoid of funk, 8mm instantly gives it a vibe. just feels good. This app is nearly perfect if only it had the ability to import videos. 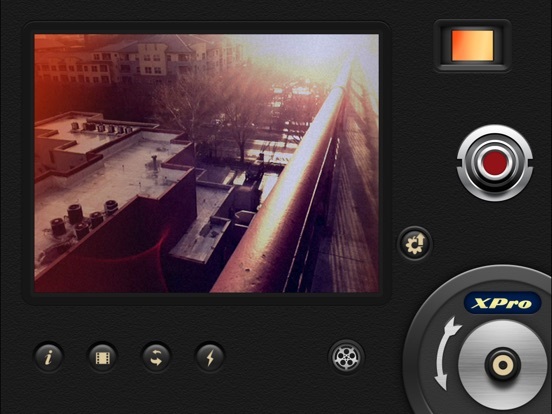 This is my go-to video camera app. I love everything about it. Very professional and non-gimmicky and very fun and usable. I appreciate the function to upload an existing video to apply a filter and also to shoot a new one right from it. I also like how there’s a share extension to create right from the Photo app. When paired with ProCam3's steady zoom, this thing can make pro looking videos. I hope this app NEVER goes away! The new 2-strip film is GREAT! Like the app but don’t like that you can’t shoot or load in vertical videos (they get cropped)*... and if you shoot vertical the whole app is still in a horizontal orientation. Other than that beautiful filters. Really wish I could import vertical videos as that’s my preferred choice of orientation. *I also went ahead and rotated a vertical video into horizontal layout but when loaded back into the app the app still read it as vertical and cropped it. I love everything about this but in the next update you guys should add an option if you want the film to sound like an old vintage. Like if someone in the video starts talking their voice would sound like it’s coming from an old radio or something. But yeah you should add that option. It's a lot of fun just for family and friends events but also a great professional tool for that old school film look. Supports up to 1080p (on my iPhone, might be higher on a newer phone) and can also import shots filmed by other apps to apply the effects later. It's fun. And it's pro. 8mm is a really great, unique video app that I've found to be unmatched in its usability and quality. Bonus points for being able to convert existing videos as well. I used this on a music video shoot and it worked perfectly. I absolutely love this app, but after the update it’s been having problems. When I record, individual videos are saved to my camera roll, but I can’t render or save reels. It just shows up as black. I really hope this is fixed, because making reels is one of the best parts of this app. This app is amazing and it's filters are top notch. People complaining about saving in 1080p this is not what the app is for. My only wish list item is being able to import vertical video and apply filters instead of landscape cropping. Will rate 5 stars if it happens! Excellent app. However, I have a question. Is it possible to shoot in 60 FPS? That would be really neat since I like shooting in 60 fps and then slowing down the footage to get a smooth slow motion. 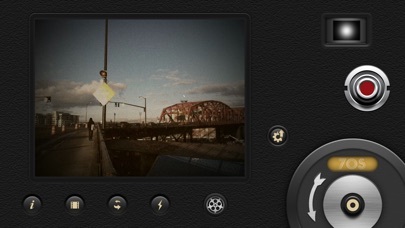 I know it defies how a film camera isn’t supposed to shoot slo mo, but I’m using the app for the effects mainly. This app does a great job of recreating 8mm and all the filters are great! I would love it if there was a way to switch between the current interface and a more sleek and modern interface that utilized more of the screen for the view finder. 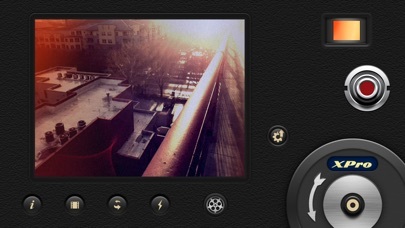 Something simpler like the current iOS camera app interface would be nice. I enjoy this app a lot. I sometimes sneak up on my wife and do like a 1920s video and be like "here we have a specimen" like those old movies they showed to kids in science class and that guy with the weird radio voice narrating. That was one long sentence. I've used the app before for some old projects, but have recently redownloaded it and realized the great potential it has for my hobby! Hoping it works out good, and hopefully some more options can be added later on. I really wish it had the option of the old vhs cam like “Play” Text and date and time. 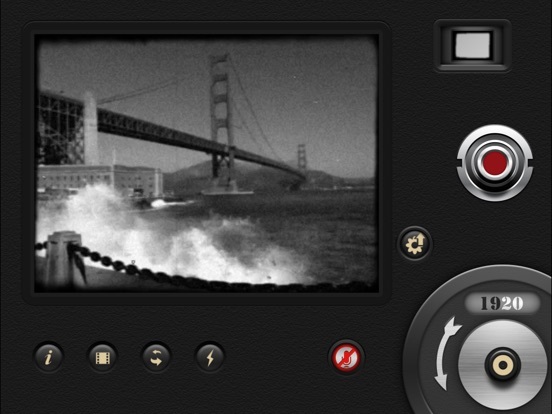 I feel like since I’m already paying for features in a vintage camera, might as well have that option for each user to add or take out as they please. I love the app so much. I've used it so much since I got it. As much as I love it, I wish that you could take pictures along with being able to take pictures. That would make it even better yet. I wish it worked better. At first I was like wow, what good features. However when I import short movies and sch to make my movie, it shows the time of the movie I imported but the picure does not come thorugh. I tried rebooting my phone and deleting the app and reinstalling it. 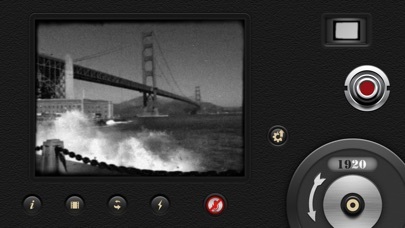 I am sad it does not work, please fix it as I love the 8mm app and was looking forward to this being a good complement. 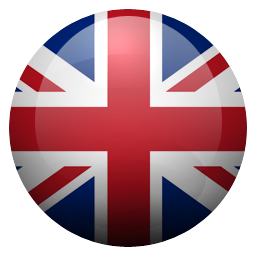 Very good app, the only question is, is there an option to select frame rates and resolution? Ok, I found the settings for frame rate and resolution, an addition for 9 frames per second would be appreciated! 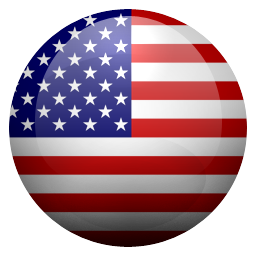 The effects tend to degrade the video quality when applied to imported clips. Downloaded this a few days ago, finally opened it today. It’s much nicer than I had hoped for! Tre cool!! The interface is simple and effective (something many programs don’t have). The effects are great. One nice little time machine. The graphic-overlays are great, but the frame rates spoil the illusion. We need to be able to pick frame rates that are like 16 or 18 frames per second. If you're watching your videos and you can't quite figure out why it really doesn't look like 8 mm, this is why. I’m in love with this app, but don’t know if this is happening to everyone. My videos disappear after awhile. I don’t know how to fix that. When my friend got the app, her videos didn’t disappear. I tried deleting and downloading again, but that didn’t work. Please fix the issue with itunes music subscriptions! it won’t let me add music to my video because of this, and because i have a subscription itunes doesn’t even give me the option to buy music. other than that, absolutely love this app, will give 5 stars if this is fixed!